The Montessori Method encourages hands-on, self-paced, collaborative, challenging, joyful learning. Montessori students become innovative, creative, independent thinkers who can solve problems and who ultimately bring positive change to the world. Google founders, Larry Page and Sergey Brin, credit their success to a Montessori education. Montessori students develop a love of learning, often not cultivated in more traditional educational settings. The Montessori curriculum offers a large spectrum of carefully designed, hands-on materials in language, math, arts, practical life and physical and natural sciences. Concrete, experiential learning is emphasized at younger ages, gradually moving towards abstract comprehension as children get older. Montessori classes are designed to respond optimally to key physical, emotional, social, and cognitive developmental stages, rather than solely emphasize academic curriculum. All aspects of the classroom environment respond optimally to each age range. 18 mth- 3 yrs – emotional nurturing; clear boundaries and trust; gross and fine motor development; receptive and expressive language skills; motor planning and practical life skills; autonomy and joy in learning. 3-6 years old – all of the above plus, hands-on preparation for math and language; clear ground rules and accountability; sense of physical, mental, and temporal order; self-discipline; mutual respect and cooperation. 6-9 years old – all of the above plus, expansion of the social world; imagination and awe for the natural world; responsibility and respect for individual contributions to the whole; confidence and responsibility through home assignments, oral presentations, collaborative problem solving class meetings, and field trips. 9-12 years old – All of above plus more freedom and self- responsibility; sense of mastery and purpose; greater abstraction; more group and project based learning; year-long research projects; community service projects. Montessori classrooms have three year age ranges, 3-6 years in the primary cycle, 6-9 years in lower elementary cycle and 9-12 years in upper elementary. The age mix in each classroom allows older students to become leaders and mentors, often teaching younger students. Younger students enjoy the experience of working with and learning from older students. Montessori fosters both independence and cooperation, encouraging self-confidence as well as respect for the contributions of others. The teacher does not “run” the class, but acts as facilitator. Mutual respect is a strong value. Teacher and students work together to build a peaceful school community. Teachers facilitate peer-to-peer conflict resolution skills and empower students with tools needed to work successfully in groups. The Montessori Method understands that all children have an innate drive to learn and grow. Montessori teachers facilitate learning through the design of the class environment and by encouraging children to explore their own interests. Rather than directing learning, they facilitate and support learning. Teachers are guides. They encourage students to perform tasks at their own pace and ensure ground rules are followed. Teachers move throughout the classroom, observe closely and connect with students as needed, but work to stay as unobtrusive as possible. Children are respected and trusted as intelligent, capable people. Children move around the classroom freely, enjoying a busy, constructive hum of activity. Both individual concentration and positive peer interactions are encouraged. Montessori is designed for diverse needs and abilities. Self-motivation is reinforced in all aspects of a Montessori classroom. There is both freedom and structure. Students choose their own activities and how long they will work on a specific task. Interruptions are minimized. Students are independent but also accountable for following-through on agreements and expectations. Teachers consistently enforce ground rules. 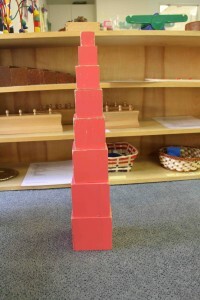 A comprehensive and recognized sequence of Montessori materials is carefully designed. Children learn a sense of order and process, which provides a deep inner satisfaction from seeing their work through from start to completion. All classroom materials, furniture, and equipment are designed to meet the needs of each age range and to foster their independence and success. The classroom is designed with specific places for materials on shelves. Teachers give lessons, presenting the effective layout and manipulation of each material. Each work is returned to the same place upon completion. 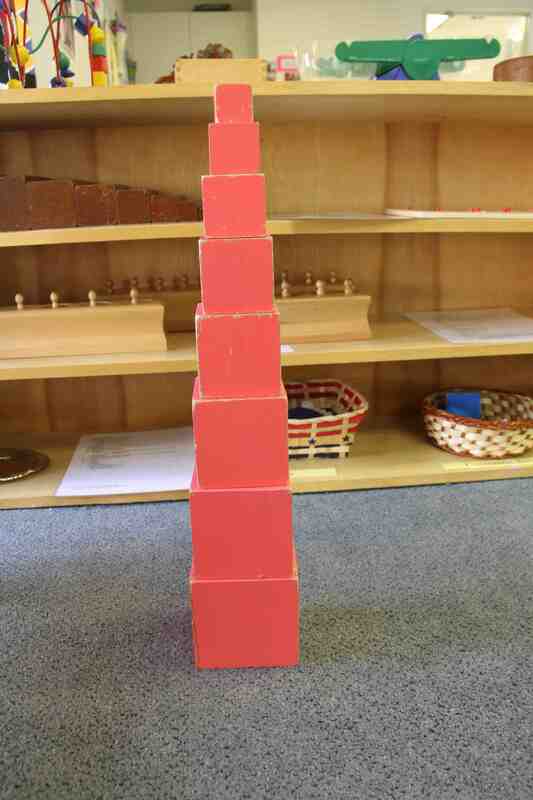 This sense of order facilitates learning and caters to the need for predictability. An ordered environment fosters security and confidence, encouraging channeled creativity, instead of chaos. Giving children age-appropriate freedom and flexibility to choose their own activities and work at their own pace, encourages creativity. Focus on process rather than result cultivates the child’s innate joy in discovery and learning. Rather than textbooks and tests, a consistent focus on process rather than result, encourages students to stretch their creative muscles and broaden the way they think about the world. Montessori encourages a growth mindset emphasizing effort and growth rather than judgment and comparison. Mistakes and risk-taking are encouraged. Self-acceptance is celebrated. Students do not receive grades. Competition and labels are discouraged. Autonomy, mastery, and purpose prevail. Longtime Montessori students generally have strong self-awareness, self-acceptance, and social skills. Five year olds commonly have higher math and reading skills than public school counterparts. However, the benefit of learning with concrete materials is demonstrated most powerfully in higher education when students commonly demonstrate a seemingly innate understanding of advanced math, analytical capacity, creativity, and critical thinking. Studies have shown Montessori students become adults who are confident, creative, and independent problem solvers in a wide variety of endeavors from maths and sciences to arts and humanities. Montessori encourages each child to progress at a comfortable pace. It encourages children to try more challenging areas accelerating growth, or to spend more time on a skill when needed. Students are encouraged to explore their interests, building on strengths and gradually strengthening weaknesses. Students readily learn to accept variability in themselves and others. There is a specific Montessori curriculum, however, each student progresses through at their own pace fueled by individual interests.